The spectrum auction currently underway is bringing in big money, far surpassing initial expectations. 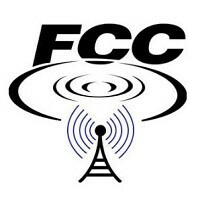 The FCC set a reserve at $10 billion for AWS-3 spectrum covering 1695-1710MHz, 1755-1780MHz, and 2155-2180MHz frequencies. AT&T and Verizon are the presumed frontrunners in the bidding, but the FCC has not listed any of the active participants in the bidding. T-Mobile and a few dozen other companies are possibly in the mix. Sprint is sitting this round of auctions out. Dish Network is probably stirring things up as well. In the first four days of the auction, bidding had already more than doubled the reserve at $24 billion, a few days after that, bidding topped $34 billion. The auction will conclude when no new bids are offered in a round. Given the pace of things so far, it is difficult to forecast when that will actually be, but what is not in doubt is that whomever the winning parties are, they will have paid a king’s ransom for the spectrum. This AWS-3 spectrum will supplement existing bands in use already, and if this auction is attracting this kind of money, imagine what the 600MHz sale is going to look like in 2016. I'd say the customers when these carriers jack up their rates for the spectrum they bought. And after the spectrum is paid for, the rates will stay the same because people are used to them. The US government is winning by selling invisible space (Owned by the people of the US) to huge corporates that will not lower prices for the people of the United States, for money that the government will keep and use on bulls**t projects. Consumers lose. To add to VZWuser76's astute observation, one can project the trend out in the US. With high spectrum costs and the industry's quest for profits, cellular service will always be expensive in the US. As VZW said, rates will never go down. There will be "deals" when companies are trying to get more customers, and grandfathered in plans that will be phased out, but outside of deals and old plans, the consumer is not in for anything good ahead. We may have better service and more features, but financially, you are correct. As long as I dont loose my unlimited data with Verizon I'll be willing to pay an extra $100 a month. I have 5 lines and we use a little over 200 gigs. In their new pricing I would have to pay $700 a month for those five lines. Right now I pay 340 for my 5 lines. Talking to a CSR from Verizon the other day, I was told they've already had meetings that focused on eliminating grandfathered unlimited plans. The only thing they haven't determined is when. But judging that they're already talking about it, I would say it isn't far off. I'd guess in the next year, two at the outside. Definitely before they eliminate their CDMA network, as that's supposed to be around until 2020, by which time they should have their LTE network shored up. 200 gigs!? Well sorry to say that in your contract with Verizon they made you agree to letting them change the terms and conditions at their discretion. Nothing was solidified. They could end unlimited data today and your options would be to sign a new contract or walk away. That's OK. The US is a sh*tpile already. Ensuring internet control stays with the gigantic private telcos will just accelerate citizen anger. Especially when they start raising prices again while the rest of the world pays 1/4 the costs we already have. Luckily these Xfinity hotspots everywhere let me steal as much data as I want. Kudos blood-suckers. Oh sprint *facepalm* low end spectrum is EXACTLY what you need to improve your network. You'd rather spend your money on silly promos than spectrum that you NEED to compete.